This initiative is one of the annual highlights and a unique opportunity to become part of an intensive program organized by one of the most prestigious institutions in Spain, such as ISDE, at Wolfson College in the University of Cambridge.It consists of a training week in Sports Law, together with visits to some of the most important clubs of the Premier League, in London. You will also take part in workshops in the leading Sport Law firms in the city. You will visit one of the world’s leading universities: the University of Cambridge. There is a significant need for elite professionals in a matter that generates a high volume of economic activity. You will visit some of the main Premier League clubs and Sport Law firms in London. Currently there is an existing demand for elite professionals in a subject of great social relevance that generates a high volume of economic activity . That is why ISDE has decided to offer this master. 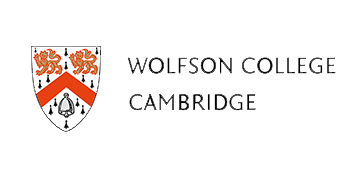 Arrival to Wolfson College in Cambridge. “Introduction to English Law and the Common Law”, David Stott, Affiliated Lecturer in Public Law, Department of Land Economy, of Cambridge. “Olympic Law – how the legislation operated and the IOC’s links to CAS and WADA”. Prof. Mark James, Director of Research, Law School, Manchester Metropolitan University. “ADR and Sport”, Prof. Dr. Ian Blackshaw, TMC Asser International Sports Law Centre, The Hague, Netherlands and CAS Arbitrator. “An Introduction to the Inns of Court”, John White. Visit to West Ham United FC at Upton Park. Law talks and lunch, Middle Temple. Drinks reception and networking, Lewis Silkin. 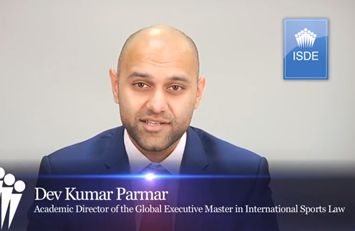 “Deadline Day Desperation: a Sports Law Negotiation Task”, Dev Kumar Parmar, Barrister. “A Thematic Assessment of Sports Law in the English Legal System: Key Cases and Core Principles”, Simon Boyes, Director at Centre for Sports Law, Nottingham Trent University. “The step by step approach to finding your dream job in the sports world after graduation”, Sarah Ochwada, Advocate, High Court of Kenya and Sports Arbitrator. “Good governance; ‘The principles of eligibility to participate (in sport)”, Stuart McInnes, Consultant, Squire Patton Boggs, London. “Employment law and sports: far from a perfect marriage”, Andrew Haywood, Partner, Pennington Manches LLP, London. “Social media and the legal and practical challenges in sport”, Matt Himsworth, Himsworths Legal Limited, St Albans. The course faculty is composed by well-known professors from European universities specialized in this area, like the Queen’s University in Belfast or the University of Northumbria. The program seeks law students and sports lawyers who want to get the best knowledge of Sports Law in a unique international framework.